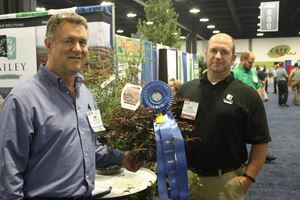 Eleven exhibitors were recognized for their unique and innovative products that have the most potential to be best sellers in the garden center with a Retailers' Choice Award during SNA 2014, Atlanta, GA. Sid Raisch, The Garden Center Group, led a panel of independent retailers in search of these products. 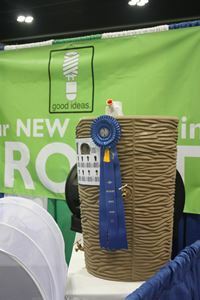 The 11 winners were recognized on the SNA Stage at the end of the first day of the show. 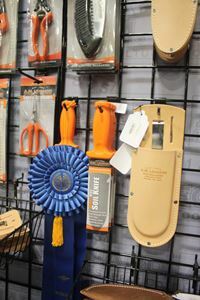 For more details on these products visit the Retailers' Choice Awards™ at SNA 2014 page. 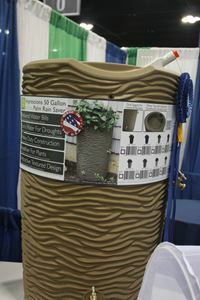 To view a larger version of the photos and read entire caption, click on the photo. 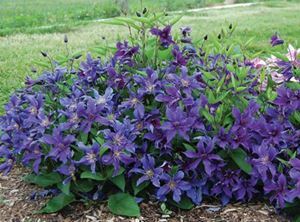 To download photos, simply click on the photo and choose the best way to download the photo to your computer. 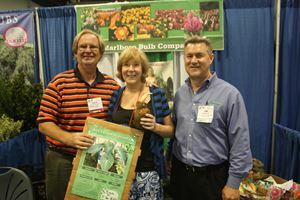 PC users, right click on photo. 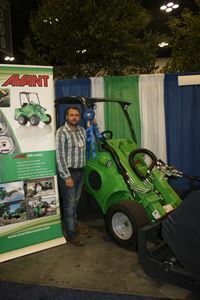 Mac users control click on photo. 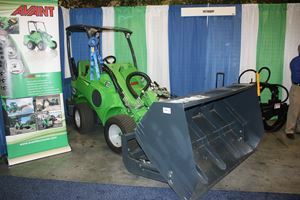 Save the file to your desired location. 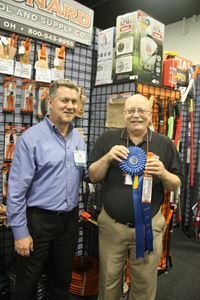 Sid Raisch (L) presents a Retailers' Choice Award to A.M. Leonard for their Deluxe Stainless Steel Soil Knife during SNA 2014, Atlanta, Ga. 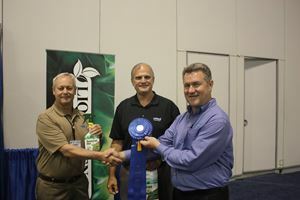 Awarded a Retailers' Choice Award at SNA 2014, Atlanta, Ga.
Metroquip, Marietta, Ga, was awarded a Retailers' Choice Award for the Avant Articulated Telescoping Multi-Function Loader during SNA 2014, Atlanta, GA.
Sid Raisch (L) presents Jack O'Donnell, Bailey Nurseries,St. Paul. 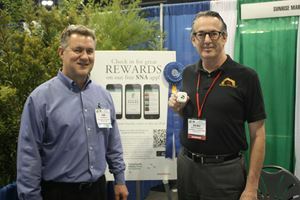 MN, a Retailers' Choice Award for the First Editions Crimson Fire Fringe Flower during SNA 2014, Atlanta, Ga.
Sid Raisch (L) presents Kurt Fromherz, Sunrise Marketing, Hartford, CT, with a Retailers' Choice Award for the ePunched Mobile App with iBeacon during SNA 2014, Atlanta, GA.
Sid Raisch (R) presents United Industries (Liquid Fence), Blakslee, PA, with a Retailers' Choice Award for the all-natural EcoLogic Weed & Grass Killer during SNA 2014, Atlanta, GA.
Good Ideas, Lake City, Pa, was awarded a Retailers' Choice Award during SNA 2014, Atlanta, Ga, for the attractive and functional Impressions Rain Barrel Planter. 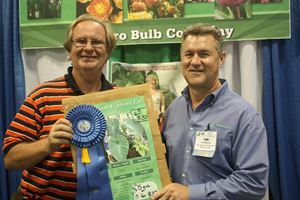 Southern bulb experts, Jack and Patricia DeVroomen, Marlboro Bulb Co., Greenwood, SC, were delighted to receive a Retailers' Choice Award for Jack's Giant Elephant Ear during SNA 2014, Atlanta, GA.
Sid Raisch (R), The Garden Center Group, presents Jack DeVroomen, Marlboro Bulb Co., Greenwood, SC, with a Retailers' Choice Award for his Jack's Giant Elephant Ear during SNA 2014, Atlanta, GA.
A Retailers' Choice Award was presented to Plant Development Services (PDSI), Loxley, AL, for this Lemon Lime Nandina, a mid-sized Nandina with refreshing name and bright lemon-lime color. 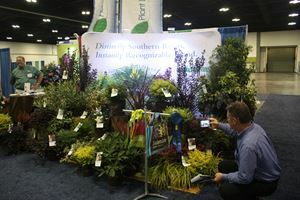 Sid Raisch, The Garden Center Group, takes a moment from his search for the hottest new products at SNA 2014 to admire PDSI's Lemon Lime Nandina. 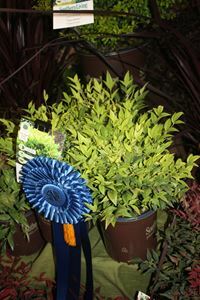 PDSI received a Retailers' Choice Award at SNA 2014 for this Southern Living mid-sized Nandina with a refreshing name and bright lemon-lime color to brighten darker garden spaces. 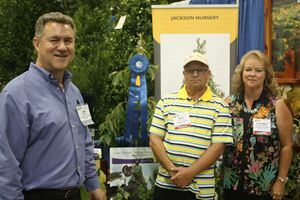 Ray and Cindy Jackson, Jackson Nursery, Belvidere, TN, were pleased that their Garden Debut Magic Fountain Weeping Persimmon was recognized with a Retailers' Choice Award at SNA 2014. 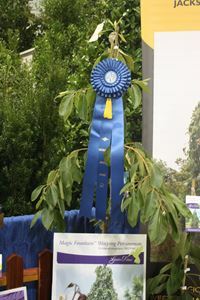 Edible plants are the rage these days and this Garden Debut Magic Fountain Weeping Persimmon, awarded a Retailers' Choice Award at SNA 2014 will entice with its highly ornamental thick glossy leaves. 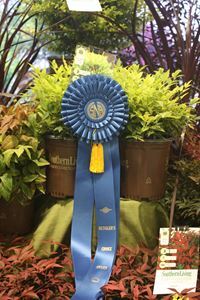 Hackney Nursery, Greensboro, FL, was presented a Retailer's Choice award at SNA 2014 for the Star Roses and Plants Sapphire Indigo Groundcover Clematis. 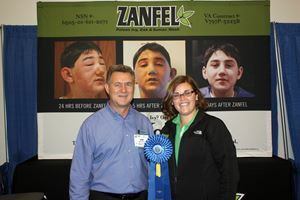 Sid Raisch (L), The Garden Center Group, presents Michelle Bastain, Zanfel Laboratories, Clive, IA, with a Retailers' Choice Award at SNA 2014 for their Zanfel Poison Ivey, Oak, and Sumac Wash.